It’s evident that many areas of California are densely populated and have reached their development capacity. Santee is different. This city still has room to grow. And as a resident here, your home comfort does, too. At Mauzy Heating, Air & Solar, our team is on a mission to cultivate more comfortable homes in Santee, CA. From dependable system installations to rapid repairs to thorough system maintenance, our superior HVAC services are designed to enhance your heating and cooling system’s performance for total home comfort that lasts. So if you want to amplify your peace of mind, turn to Mauzy. The quickest way to enhance your home comfort is to install a new heating or air conditioning system. But the trick is to find the right system. This is one that keeps a consistent level of comfort throughout your home without overworking or short cycling. However, Mauzy’s team is dedicated to going the extra mile when it comes to helping Santee residents advance the comfort and innovation of their homes. That’s why we are proficient at installing more than just home comfort systems. Through our solar energy systems and residential solar panel installations, our team can help you enjoy the array of benefits that are associated with this groundbreaking technology. 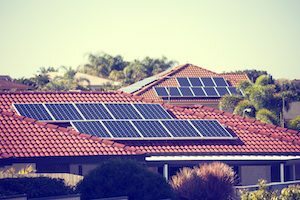 So if you’re looking to save some serious cash and change up the way you power your home, then explore how our solar contractors and solar services can help you. There’s only one way to make comfort a permanent fixture in your home and that is to retain your HVAC unit’s wellbeing. This means providing your system with the thorough inspection it needs—and Mauzy’s team can help. Our certified professionals will examine your air conditioner’s and heater’s wellbeing. Then, based on our findings, we will perform any crucial maintenance techniques including: cleaning the internal components, leveling your system’s refrigerant, inspecting any points of potential failure and more. Choosing to provide your system with the TLC it needs will reduce the likelihood of a future breakdown, save you money on energy bills and certify long-lasting peace of mind. It’s time to make your system’s health a priority. Whether it’s the hottest day of summer or the coolest night of winter, an air conditioning or heating system repair in Santee, CA, tends to make itself at home in your HVAC system at the most inopportune times. But don’t worry. From a minor hiccup to a major issue, Mauzy’s team is here to help with our swift repair services. Our certified technicians are dedicated to keeping you cozy. In fact, it’s this dedication that drives us to continuously expand upon our HVAC knowledge to ensure we can diagnose, repair and service all makes and models of AC and heating systems. This means when you need a heating or air conditioning repair in Santee, CA, you can count on us to show up quickly and restore your system with an effective solution that lasts. Mauzy’s HVAC and solar services are designed with your home comfort in mind. For more information on how our heating, air conditioning and solar energy services can be beneficial for your Santee home, fill out our online form or call our team at 858.900.3909 today!